l recently watched this movie for the first time. Actually, I don't think I had ever heard of it before. It's quite entertaining, and it was good to see Dan Duryea as the male lead. 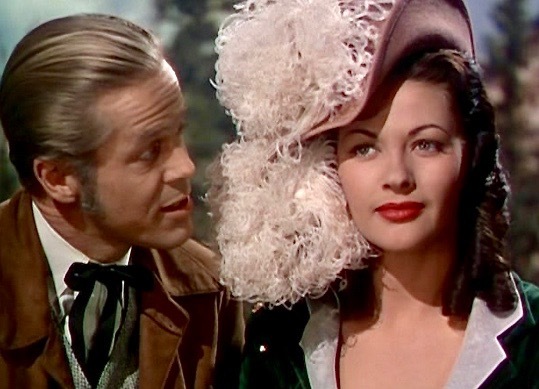 Yvonne DeCarlo has never looked more beautiful, and she even as a couple of very spirited dance numbers. While this would never be considered a true classic, any lover of Westerns will not be disappointed. By the way, this was Frank Lovejoy's first movie. I agree Terrence, it's a fun film. As you know, De Carlo and Duryea also costarred in RIVER LADY and CRISS CROSS. Universal had a goldmine on its hands with these two performers.